Australia is truly unique — it is the only country in the world that covers an entire continent and it is also the largest island in the world. Australia’s population currently stands at approximately 23 million people, with about a quarter of the population born overseas. Australia’s vibrant multiculturalism stems from a combination of Indigenous cultures, early European settlement and mass immigration. Australia is proud of the diversity of its people and enjoys the variety of different cultures and foods that this provides. Australia is also a secular country, meaning that there is no official religion. Each capital city has places of worship for religions from around the world. Australians value freedom, diversity, equality and peacefulness. The earliest human population arrived on the Australian continent more than 40,000 years ago when Indigenous tribes migrated from an unknown region of Asia. Australia’s Indigenous people have the oldest living cultural history in the world. Indigenous communities keep their cultural heritage alive by passing their knowledge, arts, rituals and performances from one generation to another; speaking and teaching languages; protecting cultural materials; and looking after sacred and significant sites such as Uluru in the Northern Territory. European exploration of Australia began in 1606 when a Spanish navigator sailed through the Torres Strait, which separates Australia from Papua New Guinea. Dutch, French and English explorers followed and began to map the continent. The European settlement of Australia began in 1788 when the British established a penal colony at Botany Bay, which is now Sydney, the largest city in Australia. The colony grew as free settlers and migrants arrived in Australia hoping to make a better life. Australia’s climate varies greatly across the country. About 40 per cent of the northern part of the country lies in the tropics. Monsoon winds bring moist air during summer, and the high rainfall between December and March is called ‘the wet season’. The climate in the southern part of the country is temperate, with cool winters, hot summers and four distinct seasons. Australia lies in the Southern Hemisphere, so the summer months are December, January and February, and the winter months are June, July and August. Nearly 90 per cent of the population live around Australia’s coastal edges, where ocean breezes bring the temperature down. Temperatures in the desert regions are severe and often exceed 40°C during the day in summer and fall as low as -7°C at night in winter. Australia is a democracy, and vigorous debate is a strong part of the political process. All Australians aged over 18 are required to vote in local, state and federal elections. The Commonwealth of Australia is a constitutional monarchy under a parliamentary democracy, and the formal head of state is the United Kingdom’s Queen Elizabeth II. The leader of the Liberal Party of Australia — and Australia’s Prime Minister — is Scott Morrison, who came into office in August 2018. The federal government governs the whole of Australia, and the Australian Constitution defines its responsibilities. Responsibilities include matters of quarantine, defence, telecommunications, taxes and welfare. You can find more information at the Australian Government website. Each state and territory government works in cooperation with the Australian Government and is responsible for matters such as police, public schools, roads and transport. 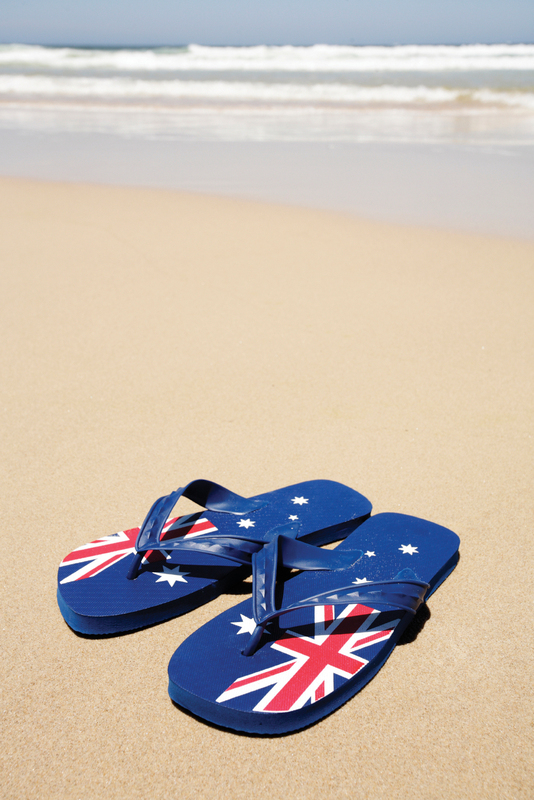 The official Australian flag was designed in 1901 when Australia’s six colonies became a federation. The Union Jack represents Australia’s links to England. The large seven-pointed star represents the states and territories. The five stars on the right represent the Southern Cross constellation, which you can see in the Australian night sky. The Indigenous Australian flag and the Torres Strait Islander flag are also officially recognised as flags of Australia. Boxing Day — December 26th: Boxing Day is a traditional celebration marking the day following Christmas day. It is celebrated with a day of rest and cleaning after the festivities of Christmas day, family activities and shopping, with many retailers holding their biggest sales of the year. 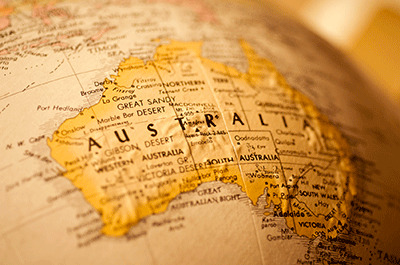 Individual states and cities also celebrate their own public holidays, which may include celebrations such as Labour Day, Queen's Birthday, agricultural shows and sporting events such as the Melbourne Cup.